According to HubSpot, "Inbound marketing is focused on attracting customers through relevant and helpful content and adding value at every stage in your customer's buying journey. With inbound marketing, potential customers find you through channels like blogs, search engines, and social media." At Ascend, we've helped multiple clients build five and six-figure monthly revenues with e-commerce. We can tell you from experience that inbound is the way to go. With inbound marketing, you can drive more traffic, generate better quality leads and increase your return on marketing investment. And if you're an e-commerce retailer, an inbound marketing strategy is non-negotiable if you're going to compete with the likes of Amazon. Inbound marketing and e-commerce are two topics that have been covered at length, but not at-length together. That's why I developed this guide to Inbound Marketing for e-commerce. 5. Launch Your Site with a Marketing Machine that Works for You 24/7. Let's face it: the competitive landscape is brutal for e-commerce retailers. First of all, you have Amazon, who sells pretty much everything more cheaply than you could hope to (and they can ship it to anyone in two days). Then, you have Google, who will aggregate any review about a product and display it front and center in its search results. Your product must be good. It doesn't have to be unique, but it can't be garbage. If you aren't selling a good product then no one will find it or buy it. Or worse, the few that do buy it will drag you through the mud with negative reviews. If you're selling something that Amazon (or other online retailers) are selling, all hope is not lost, but you must create a superior shopping and service experience. If you have a great, unique product, and you've done your market research to conclude that a consumer base is willing to buy it, you're in a good position. 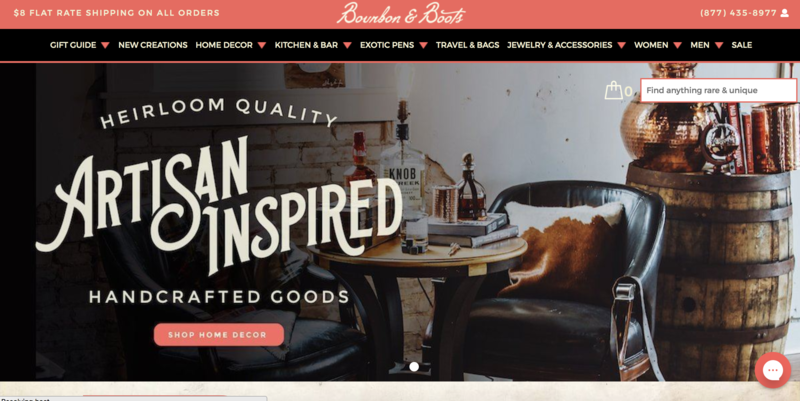 Case in point: Bourbon & Boots is an e-commerce retailer that sells cocktail glasses etched with college town maps. It's a unique gift idea with broad appeal--anyone who likes drinking and went to a large college would want these glasses (hello, millenials!). Tuckernuck is an e-commerce retailer that sells "classic yet unique apparel and gifts." While they do not make their own products, they have created the feel of a small boutique, online. This appeals to their target audience. When you meet someone for the first time, you ask about them, their background, their interests, etc. You want to know their story. You are looking for a way to connect with them. We do the same thing with the brands we purchase from. If you can tell a story that resonates with your target audience, selling your product will be that much easier. Storytelling and branding go hand in hand. Branding is the components that distinguish your company and product(s). Storytelling puts a soul behind that brand. 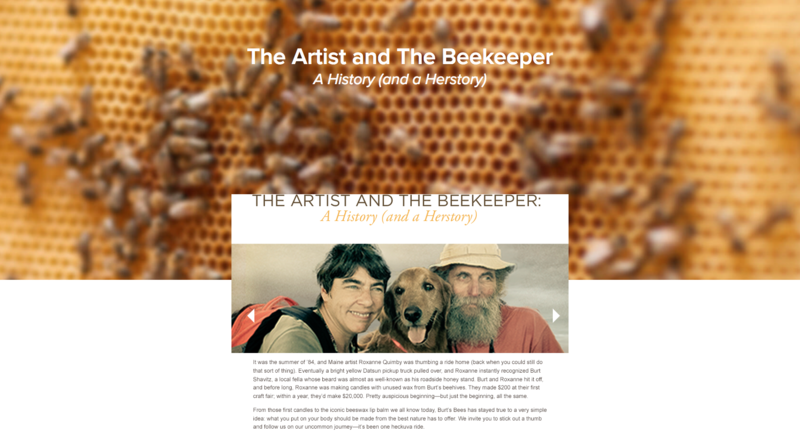 Burt's Bees started with a collaboration with a single mom and a beekeeper in Maine. He let her use his leftover beeswax; she used it to make candles and together they sold them at local craft fairs. They quickly expanded from candles to lip balm to a full line of personal care items. Today, the company rakes in over $250 million annually. Huckberry primarily sells lifestyle products to men, but I (a woman) enjoy their newsletter very much. 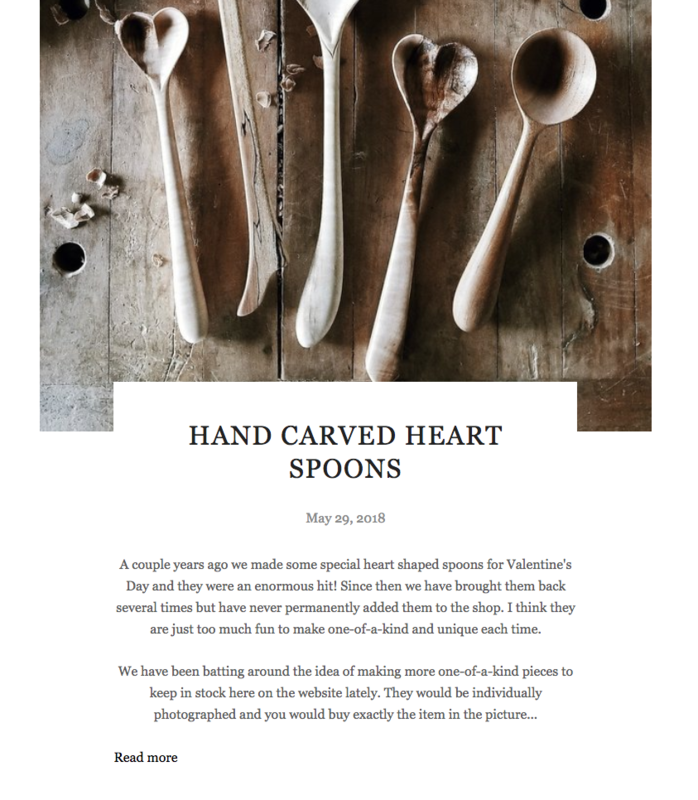 The newsletters are gorgeous, packed with beautiful photos and carefully chosen typography. Ease of use: If you're not technical, you'll want a shopping cart that's easy to setup and maintain. Even if you hire a programmer to develop your website, you'll need a shopping cart that has an easy-to-navigate dashboard to process orders, edit and add products, read reports and create promotions. Customizations: If you are selling clothing in a variety of colors and sizes, you'll need a shopping cart with product variations. If you sell gift items, then your customers might want the option to ship to multiple addresses. If you sell mugs that can be customized with a graphic or logo, you'll need image upload features. These are just a few types of customizations you can offer. Make sure to think about this from your customer's perspective and consider what they need to have a superior checkout experience. The more interactive your site can be, the better. This will also put you in a good position to compete with Amazon and other big players that don't offer the same level of customization. Cost: If you're just starting out and don't have a large budget, you'll need to consider a SaaS (software-as-a-service) shopping cart with low monthly fees. If you sell a large volume of products, then you'll want something more robust with more bandwidth. If you don't know where to start, we can help. This article has reviews for the top shopping carts. It's not rocket science: if you make it hard for people to buy your stuff, no one will buy your stuff. Profound wisdom I know, but I've seen enough bad e-commerce sites to know that not everyone takes this advice. From painfully slow load times, to confusing checkout pages, to difficult to navigate catalog pages, you can fall into countless traps that will annihilate your e-commerce conversions and send your bounce rate through the roof. Great product descriptions with as much detail, images, and better yet video as possible. Then there are some back-end details that may seem trivial, but are critical to ensuring your customers' experience is as smooth as possible. You'll need to sort out these details well before you launch your site (and probably before you select a shopping cart). Taxes: Depending on where you're selling from, and where you ship to, you may need to apply sales tax to each order. Consult with your accountant to determine how you need to handle taxes. Most shopping carts offer an option to input tax rates manually (or via Excel upload). There are also third party services like Avalara and TaxJar that will calculate sales tax for you. Shipping: Many online retailers stay competitive by factoring shipping costs into their product and offering free shipping. Another similar route would be to offer flat-rate shipping. You can do one flat rate or offer a tiered rate system based on the amount of the order. Alternatively, you can offer live shipping rates through services like UPS, USPS, and FedEx. (Deciding on a shipping carrier is an important decision. You'll need to factor in delivery time, average product weight and of course rate costs to choose the best provider. Also think about ease-of-use from your perspective as the retailer. More on this: FedEx vs. UPS vs. USPS from FitSmallBusiness.com. ) If you do use live rates, you'll need to add product weights and dimensions to each product. Payment Gateway: You will need a secure payment processor to accept payments online through your website. There are many reputable payment processors with competitive fees that integrate with the major shopping cart solutions. Some of the top choices are Stripe, PayPal, and Authorize.net. More on this: Your Ultimate Payment Gateway Comparison Guide from HuffPost. You have put in the time to produce an amazing product with a compelling story, and you've built a website that makes buying your product a breeze. Now it's time to sit back, relax, and wait for all of the orders to come piling in. Many times we've launched e-commerce stores, I've had to temper the expectations of clients. You can't launch a website and expect revenue to come flowing in from nowhere. This is really just the beginning of your e-commerce journey. Set realistic revenue expectations for your store. If you're an existing business, create projections for how much you'd like to grow. If you're a new business, do a little industry research to set reasonable revenue projections. For the sake of simplicity, let's say you sell t-shirts. E-commerce conversion rates average between 1- and 2 %. Your target revenues are $5,000/month. If your average order value is $25 then you'll need to sell 200 orders a month. With that conversion rate and revenue, you'll need 10,000-20,000 visitors/month. Now you know where you want to go; it's time to develop the map to get you there. Since this is a post about inbound marketing, let's refer to the inbound methodology to map out your e-commerce strategy. This is not Field of Dreams. Just because you built it doesn't mean they will come. That's why the first step of your inbound strategy should be based on attracting visitors to your store. There are a number of different ways to do that, and you should incorporate at least two or three of these to build up traffic to your site. In this day and age, blogging almost seems out of style. But we talk about blogging so much because it works. Blog posts are an easy way to publish meaningful long-form content that sits on your website and is owned by you forever. Not only that, you have control and ownership of the content on your blog. Old World Kitchen is a family-run business that makes kitchen utensils from reclaimed wood. They have a great story, and they have a great blog to go with it. They use their blog to talk about new products and each post features beautiful photography. "Instead of trying to break through the noise, get in on the conversations that your ideal customers are already listening to." "Being interviewed as an expert guest is an easy and scalable way to gain exposure, backlinks, and drive high-quality traffic that has been shown to convert (visitor to lead) 25x better than blogs. The content can be easily repurposed into blogs, videos, and social media posts. This strategy has shown exceptional COLA (Cost of Lead Acquisition) and COCA (Cost of Customer Aquisition). It's not cold traffic, but more similar to the warm to hot traffic that results from a personal introduction for the podcast host. As Rand Fishkin of Moz tweeted "Best way to sell something - don't sell anything. Earn the awareness, respect, and trust of those who might buy." 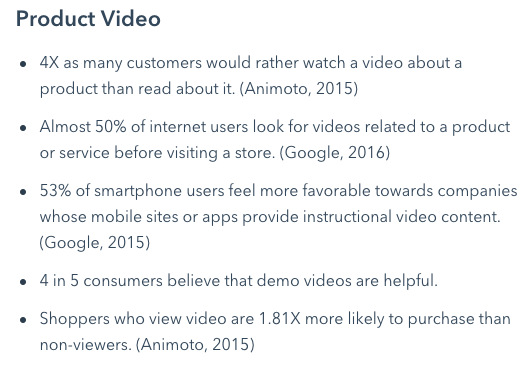 In 2018, video isn't just a trend: it's a must-have if you want to be competitive in the online marketing arena. There are a number of ways you can do video. You can use your phone to create short snippets for social media. You can hire a professional to develop an engaging story video, or a prominent video for your flagship product. SEO has changed. Nowadays search is geared toward a user's personal circumstance; their location, their previous search behavior, their demographics. The best way to get results from search is to build a pillar page and then create supporting posts with narrower content that support that page. As of this writing, when you search Google for traffic cones, the first link that pops up is from a site called "Traffic Safety Store." 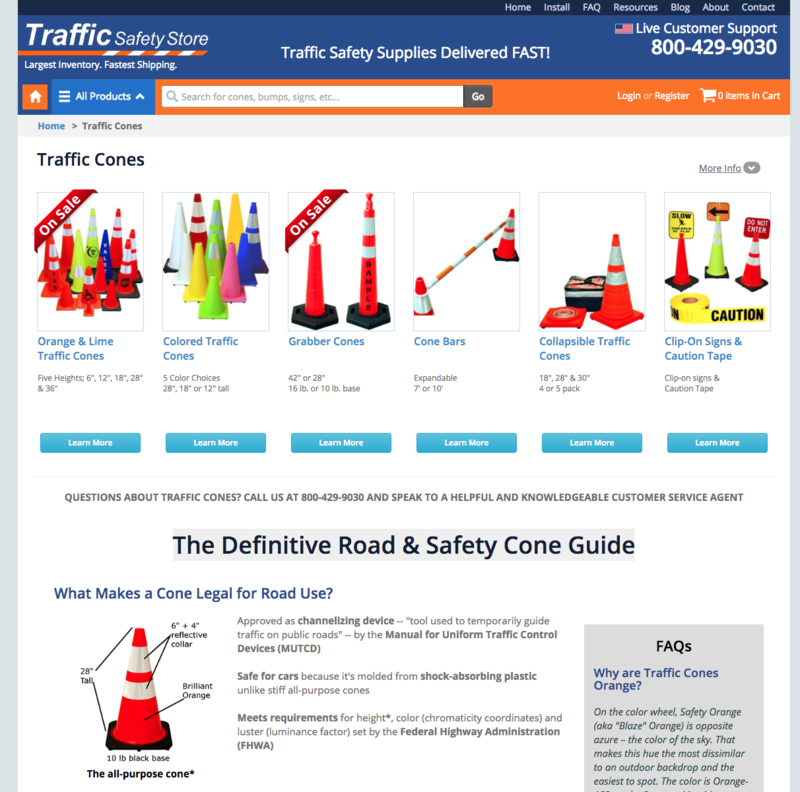 This site beat out Home Depot, Amazon and Walmart for the top spot for the term "traffic cone." This company built a comprehensive guide to traffic cones that answers every possible question you might have before purchasing one. This is a perfect example of a pillar page that delivers a ton of value to its visitors. Successful brands command higher prices for their products because they have a community of loyal followers who provide free advertising in the form of word-of-mouth marketing. Social media is the ideal incubator for brands to build such a community. The founder of Perfectly Priscilla found a gap in the market for trendy, affordable plus-sized clothing and decided to take matters into her own hands. 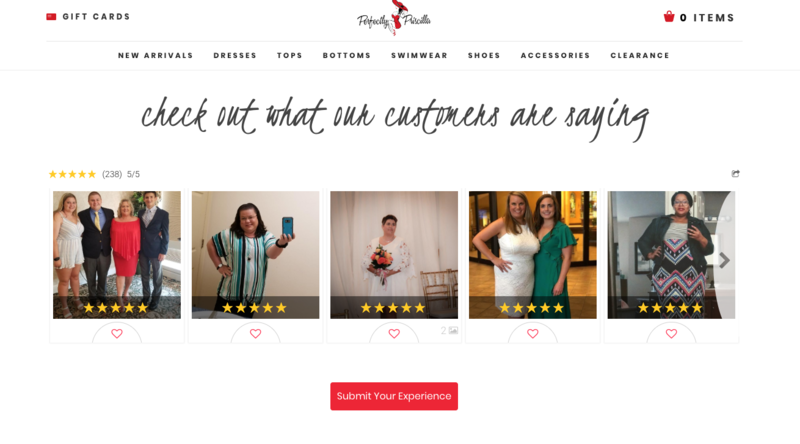 She opened an online boutique that caters to women sizes 10 and up. Not only that, founder Deidre wanted to "take out the corporate feel and create a connection directly with the customer." She does this through her website, but mostly through her massive online social media following. It's a rare occurrence to visit an e-commerce site these days and not see one of those coupon pop-ups. They're everywhere, because they work. 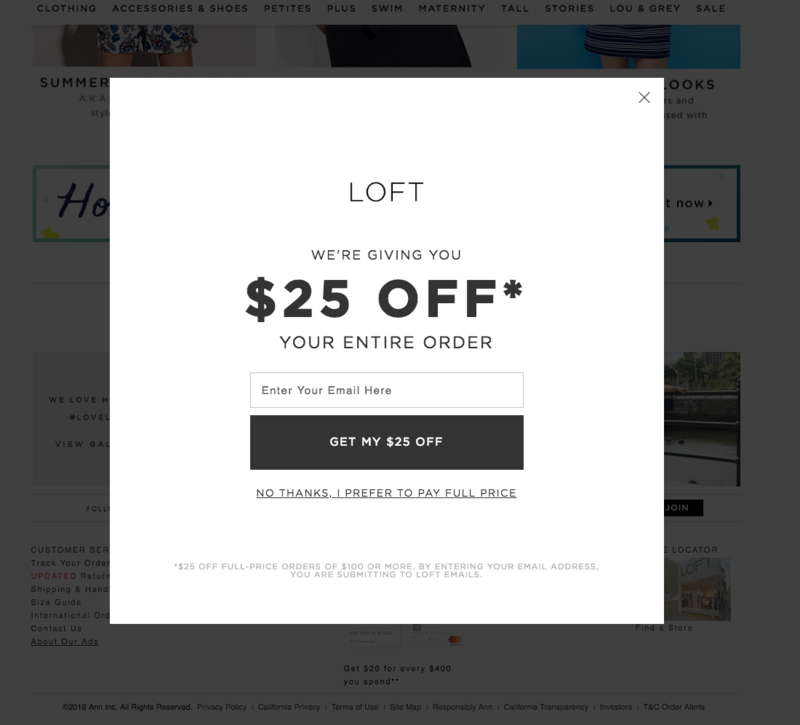 With a pop-up like the one below, you can offer a small discount to entice buyers into making an initial purchase. Optinmonster allows you to create beautiful lead capture tools without any programming or design skill. Giveaways and e-commerce go together like peanut butter and jelly. Or should we say, pecan butter and jelly? 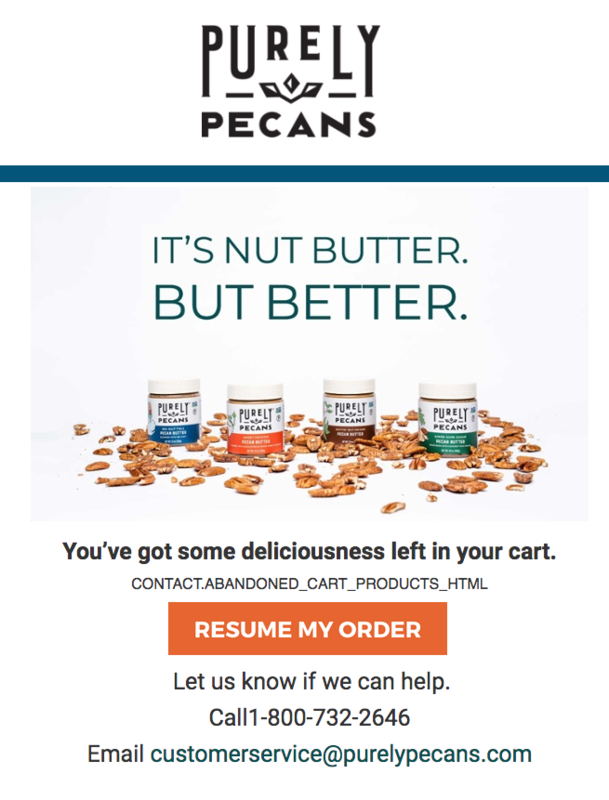 South Georgia Pecan Company has almost doubled their large email database over the last year through giveaways like the Southern Getaway Sweepstakes and Pecans for a Year Giveaway. In the case of the Pecans for a Year Giveaway, SGP has already seen a 20X return on their investment. This does not take into consideration the full lifetime value of the customers generated from the campaign. Coupon codes are a great way to entice leads into making an initial purchase, move stagnant inventory, and to reward loyal customers. But be careful: you can overdo it with coupon codes, training your customers only to purchase from you if something is on sale. Live chat is increasingly becoming a preferred customer service method for online shoppers. Instant answers without having to pick up the phone: yes please! Bots take messaging a step further, using artificial intelligence to answer common customer questions. 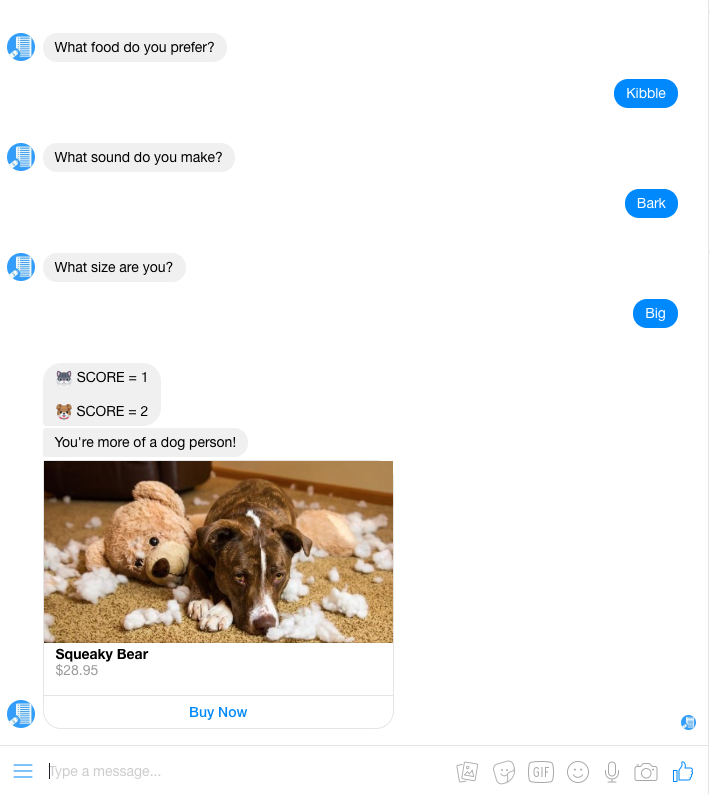 Facebook now allows third parties to use bots for their messaging program, so you can send along shipping information, cross-sells, and more through their messaging app. Retargeting allows you to display product in front of shoppers who haven't quite pulled the trigger. 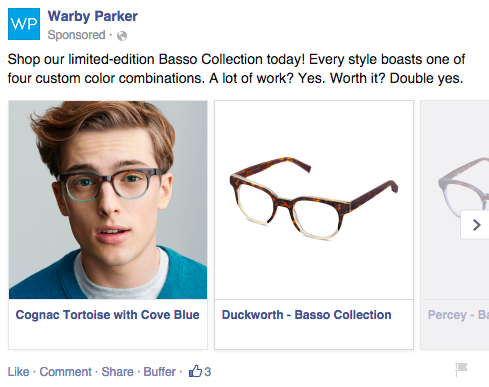 I have personally purchased two pairs of eyeglasses from Warby Parker. They are my favorite two pairs of glasses I've ever had. Each time I was considering which frames to buy, Warby followed me to Facebook and tempted me with photos of the options I was seriously considering. With marketing automation tools like HubSpot and its Shopify integration, you can segment buyers based on not only the types of items they purchase, but also on the RFM scale. You can use this scale to analyze who your best customers are on these free factors. Revenue Conduit is a service that ties in the major marketing automation and e-commerce platforms together to automatically categorize customers based on these criteria. Abandoned carts happen when a visitor begins the checkout process on your website but leaves before making a purchase. At this point, you have their email address. Many shopping carts offer automated cart abandoned recovery emails. Studies estimate that around 70% of shopping carts are abandoned. But abandoned cart campaigns can help you recover as much as 30% of those purchases. Now that your customers have made a purchase, you have the opportunity to turn them into lifelong evangelists. This is your chance to create a "wow" experience – the type that will have your customers hashtagging photos of your products throughout their social media universe. Consider including a handwritten thank-you note for new customers. Invite them to a members-only Facebook group where you'll share exclusive offers and offer help with your products. Create a community around your brand. Use dynamic site content to display product that interests your customer specifically. For example, if a customer recently looked at a pair of blue jeans but didn't purchase, show them a hero image with blue jeans on your homepage when they come back to your site. Keep your finger on the pulse of your social mentions and reviews. Customers will often go to Facebook messenger for customer service instead of filling out a form on your website. You'll also want to track mentions of your brand. If someone says something positive, you will want to reshare right away. And if someone says something negative, you will want to step in and rectify the situation as quickly as possible. Even after you have completed all the steps needed to build your inbound strategy for e-commerce, there's always room for improvement...and new competition rolling in. That's why we measure everything; we can see where we're falling behind and learn what's working and what's not. One of the tools we use is Databox. 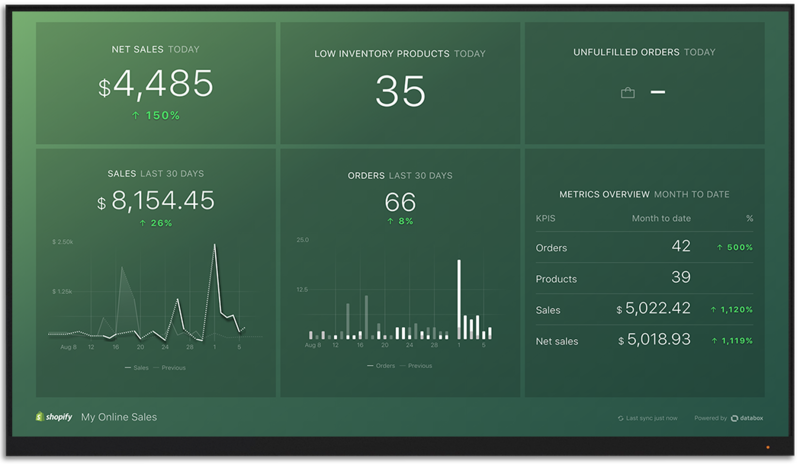 Databox gives us real-time insights into revenues, campaigns and ROI of our ad spend, all in one seamless interface. With these easily accessible insights, we can make educated decisions on how to plan our next campaigns and strategies. Phew! Are you tired after reading all of this? I know, it's a lot to take in all at once. My advice? Start at the top; with a good product and branding, it's hard to go wrong. From there, work on one thing at a time. Like my friend and client John Norman says, "e-commerce is a marathon, not a sprint." Best of luck on your e-commerce journey!